Do You Want To Activate The Hidden Potential Of Your Mind For More Creativity, Focus, Health And Wellbeing? Introducing Research Backed Trypnaural Brainwave Music & Video Technology Used By The World’s Best Therapists, Trainers, Peak Performers, Spas & Healing Centers. *There is no guarantee of specific results and they can vary. Trypnaural is the music technology used in the Wim Hof Method. Wim Hof is the first person to scientifically prove that you can directly influence your autonomic nervous system through meditation and also train others to do the same. We create ‘high performance minds’ using our products backed by research that supports your peak performance & wellbeing. Reduce stress, enjoy deep sleep, be more focused, increase mind power, even start or expand your business with the resell license. Helps YOU reduce stress & experience the deepest relaxation in minutes. Inside the store you can get a video guide that shows you exactly how to create your own custom meditations that you can also combine with special subconscious mind programming techniques for a truly customized meditation experience. Our ancient ancestors were actually very advanced when it came to the knowledge of meditation, music and its benefits to your body, mind and spirit. The music they composed was actually dedicated to nurturing the soul and enhancing the mind. They were also the pioneers of brainwave entrainment, the ancient tribes of Africa were actually using the techniques 1000’s of years ago. 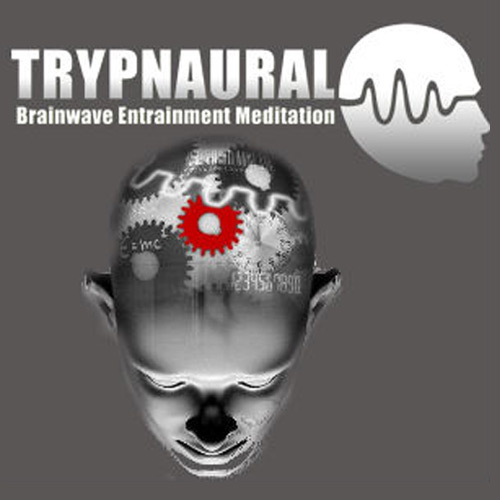 Trypnaural takes the very best ancient and modern entrainment techniques combined with special breathwork and meditation exercises for deep and profound results that you will experience in minutes. These are by far the most powerful and effective brain trainers, far superior to binaural beats. They synchronise your brain with specific rhythms of pulses and tones. The effects can be felt without headphones, but using them will greatly enhance the effects. Sound and music has a profound ability to alter your brainwave state particularly when it has a rhythm to it. We use specially composed grooves and music to produce deep trance states in minutes. Our ancestors used flickering flames and mandalas as cornerstones of their rousing rituals – while today, we use sophisticated visualization programs that carry us to elevated states of consciousness shown to produce trance-like states of relaxation, enhanced intellectual functioning and even increased IQ scores. We use an ancient Indian form of breathwork known as Pranayama that has clinically proven results for reducing stress and unlocking your full human potential.